Patricia Scott was born in Portland, Oregon, on July 30, 1940, daughter of Lee Scott, an aviation insurance salesman, and Bernice Scott, a public–school teacher. Her great–grandfather had served alongside William Jennings Bryan in the Nebraska legislature, lending a reform–populist cast to her political heritage. As part of a military family that moved from post to post, she was raised in Texas, Ohio, and Iowa. Pat Scott earned a pilot’s license and operated her own flying service to pay her college tuition. She graduated from the University of Minnesota in 1961, a member of Phi Beta Kappa majoring in philosophy, history, and political science. She earned a J.D. from Harvard Law School in 1964, though, as one of just 15 women in a class of more than 500, she felt “submerged in sexism.”2 On August 18, 1962, she married a law school classmate, James Schroeder, and the couple moved to Denver, eventually rearing two children, Scott and Jamie.3 While in law school, a professor told Schroeder that most corporations shunned women lawyers, so she took a job with the federal government for two years as a field attorney for the National Labor Relations Board. She later moved into private practice, taught law, and volunteered as counsel for Planned Parenthood. Schroeder received a rude introduction to the power of entrenched committee chairmen. She sought and earned a seat on the all–male Armed Services Committee because, according to the newly elected Congresswoman, “When men talk about defense, they always claim to be protecting women and children, but they never ask the women and children what they think.”14 Eager to identify and curb defense appropriations which, at the time, totaled nearly 40 percent of the national budget, Schroeder represented a minority viewpoint on the conservative Armed Services Committee.15 Infuriated that a young woman sat on his committee, Chairman F. Edward Hébert of Louisiana, a Dixiecrat and 30–year veteran of Congress, made Schroeder share a chair with Ron Dellums, an African–American Democrat from California, during the organizational meeting for the committee. As Schroeder recalled, she and Dellums sat “cheek to cheek” because the chairman declared “that women and blacks were worth only half of one regular Member” and thus deserved only half a seat.16 Dellums later commented that he and Schroeder acted as if sharing a chair was “the most normal thing in the world,” in an effort to undermine Hébert’s obvious attempt to make them uncomfortable. When Schroeder sought a spot on a delegation to a Strategic Arms Limitation Treaty disarmament conference on chemical warfare, Hébert declined her request noting, “I wouldn’t send you to represent this committee in a dogfight.”17 Undeterred, Schroeder and her Democratic Caucus colleagues managed to oust Hébert in 1975, during the height of congressional reform efforts which included rules changes that weakened the power of long–standing committee leaders. Schroeder remained on the panel throughout her congressional career. Representative Schroeder quickly became a driving force in the 1970s and 1980s as Democrats sought to rein in Cold War expenditures. In unison with a more like–minded chairman, Les Aspin of Wisconsin, she fostered an era of Democratic defense budgets that, in Schroeder’s estimate, supported “reasonable strength” rather than “unreasonable redundancy.”18 She also asserted herself as a major advocate for arms control, opposing, among other programs, the MX (“Missile Experimental”) program. Arguing against the philosophy that the U.S. Air Force’s mobile MX rockets would serve as a deterrent to nuclear war, Schroeder suggested instead that “everyone in the world would be more impressed if we didn’t deploy the weapon and showed common sense.”19 Schroeder worked to improve benefits, health care, and living conditions for military personnel, crafting the 1985 Military Family Act and eventually chairing the Subcommittee on Military Installations. Toward the end of her career, she convinced the Armed Services Committee to recommend that women be allowed to fly combat missions. In 1991, Schroeder spearheaded demands for reform in the military after two highly publicized sexual harassment scandals: the navy “Tailhook” and a later case involving an army sergeant’s abuse of female recruits. Schroeder also served as spokesperson for those in Congress who believed that American allies should bear more of the global defense burden. The area in which Schroeder specialized, however, was women’s rights and reforms affecting the family. In many respects, she made these issues, shared by many middle–class Americans, the blueprint for her work: women’s health care, child rearing, expansion of Social Security benefits, and gender equity in the workplace. She was a vocal pro–choice advocate and a supporter of the Equal Rights Amendment. 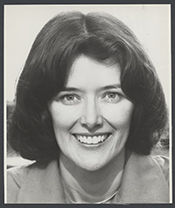 In 1977, Schroeder cofounded the Congressional Women’s Caucus, subsequently co–chairing it for 10 years. She helped pass the 1978 Pregnancy Discrimination Act, which mandated that employers could not dismiss women employees simply because they were pregnant or deny them disability and maternity benefits. Later she created and chaired the Select Committee on Children, Youth and Families (which was dismantled in 1995). She also served on the Judiciary Committee and the Post Office and Civil Service Committee, where she eventually chaired the Subcommittee on Civil Service. In 1993, Schroeder scored her biggest legislative successes with the passage of the Family and Medical Leave Act and the National Institutes of Health Revitalization Act. For nearly a decade, she had toiled on the Family and Medical Leave Act, which in its final form provided job protection of up to 18 weeks of unpaid leave for the care of a newborn, sick child, or parent. After a brief teaching stint at Princeton University’s Woodrow Wilson School of Public and International Affairs, Schroeder was appointed president and CEO of the Association of American Publishers in June 1997. She also was selected to lead a multi–year study for the Institute on Civil Society to identify and promote social programs to encourage social cohesion and restore a sense of community for Americans. 1Lloyd Grove, “Laying Down Her Quip; For Rep. Pat Schroeder, A Hard–Hitting Decision,” 1 December 1995, Washington Post: F1. 2Patricia Schroeder, Champion of the Great American Family (New York: Random House, 1989): 43. 3Current Biography, 1978 (New York: H.W. Wilson and Company, 1978): 367. 4Hope Chamberlin, A Minority of Members: Women in the U.S. Congress (New York: Praeger, 1973): 355. 5John Brinkley, “A Brave Woman Leaves Her Mark; Pat Schroeder Exits Congress,” 31 December 1996, Cleveland Plain–Dealer: 1E. 6Marcy Kaptur, Women in Congress: A Twentieth–Century Odyssey (Washington, D.C.: Congressional Quarterly Press, 1996): 174; see also, Current Biography, 1978: 368. 7“Election Statistics, 1920 to Present,” http://clerk.house.gov/member_info/election.aspx; Politics in America, 1996 (Washington, D.C.: Congressional Quarterly Press, 1995): 221. 8Patricia Schroeder, 24 Years of House Work …and the Place Is Still a Mess (NY: Andrews McMeel, 1998). 9Melissa Healy, “Patricia Schroeder: Fighting for 24 years to Expand Women’s Role in Government,” Los Angeles Times, 1 December 1996: M3. 11Schroeder, 24 Years of House Work. 12Marilyn Gardner, “A One–Woman, Pro–Family Lobby,” 15 March 1989, Christian Science Monitor: 14; Joan A. Lowy, Pat Schroeder: A Woman of the House (Albuquerque: University of New Mexico Press, 2003): 61–62. 16Schroeder, 24 Years of House Work; Jane Gross, “Critic as Chairman Gets Praise as Both,” 8 February 1993, New York Times: A12; Ronald V. Dellums and H. Lee Halterman, Lying Down With the Lions: A Public Life From the Streets of Oakland to the Halls of Power (Boston: Beacon Press, 2000): 149–150. 19Steven V. Roberts, “Gambling on the Russian Response to MX Missile,” 4 June 1983, New York Times: 8; “A Strategic–Arms Glossary,” 6 April 1979, New York Times: A10. 20Melissa Healy, 1 December 1996, Los Angeles Times: M3; Clara Bingham, Women on the Hill: Challenging the Culture of Congress (New York: Times Books, 1997). 21Almanac of American Politics, 1994 (Washington, D.C.: National Journal Group Inc., 1993): 222–225. 24Interview, 1 December 1996, Los Angeles Times: Opinion Section, 3. Papers: 1972-1996, 336 linear feet. The papers of Congresswoman Pat Schroeder reflect her years as a U.S. Representative and also includes her campaign records. The collection is currently unprocessed and closed until January 2007. Papers: 1987-1988, amount unknown. This is an unprocessed collection. Consult the Curator of Books and Manuscripts regarding use. Contains campaign material. Papers: In the Candidates for Public Office Campaign Materials, 1966-1976, 0.5 linear foot. Persons represented include Patricia Schroeder. Film Reel and Videocassette: 1972-1990, 3 commercials on 1 film reel and 1 commercial on 1 videocassette. The commercials were used during Pat Schroeder's campaigns for the 1972 and 1990 U.S. congressional elections in District 1 of Colorado, Democratic Party. Falk, Erika A. "Women, Press, and the Presidency." Ph.D. diss., University of Pennsylvania, 2001. Lowy, Joan. Pat Schroeder: Woman of the House. Albuquerque, N.M.: University of New Mexico Press, 2003. "Patricia Scott Schroeder" in Women in Congress, 1917-2006. Prepared under the direction of the Committee on House Administration by the Office of History & Preservation, U.S. House of Representatives. Washington: Government Printing Office, 2006. Schroeder, Patricia S. 24 Years of House Work . . . And the Place is Still a Mess: My Life in Politics. Kansas City: Andrews McMeel Publishing, 1998. Schroeder, Patricia S., with Andrea Camp, and Robyn Lipner. Champion of the Great American Family. New York: Random House, 1989. Uhlenkott, Linda Anne. "Women's Voices in Congress: The Rhetoric of Geraldine Ferraro, Pat Schroeder and Barbara Boxer." Ph.D. diss., University of Nevada, Reno, 1996. The Honorable Patricia Scott Schroeder describes the power of the chairman of the Armed Services Committee. The Honorable Patricia Scott Schroeder describes the difficulty of maintaining professionalism while traveling with her young children.